Smarter, Stronger, and Ageless? Here’s why creatine isn’t just for weightlifters, and how it’s much safer than you’ve been led to believe. Did you hear the one about creatine and steroids? You know, how they’re basically the same thing? Me too, and I can’t think of anything more ridiculous. Research on everyone from infants to the elderly should help you feel good about the supplement. Here’s a big roundup of a lot of the research that’s been done on the benefits, if you’re curious and want to look for yourself. So why the controversy? Because in a supplement market clouded by lots of hype and little noticeable results (“pump” supplements, anyone? ), creatine actually works. Really well, actually, and in more ways than you probably imagined. To calm your uncertainty, we found the people who know best: researchers, scientists, and Ph.D’s, to provide you with the real story — and why creatine is better (and safer) than you might think. You can find creatine in everything from steak to beef, chicken, rabbit, and milk. The problem: the dose is so small you’d have to eat 2-3 pounds of meat per day to experience the same impact of as about 1 teaspoon of the powder form, says Kamal Patel, Director at Examine.com, an independent website devoted to demystifying the science and nutrition of supplementation. It works kind of like a shot of adrenaline. When you exercise that tri-phosphate becomes a di-phosphate and you hit your wall. Enter creatine, which provides that third phosphate molecule so you can keep pushing harder. It’s extra energy when you need it most, without any uncomfortable caffeine-like crash. It can, in fact, help your muscles grow bigger. Creatine can increase muscle fiber size by increasing water content in your muscle cells, which triggers genes involved in increasing size. It can also help you get stronger. In a review of 22 studies, people who use the supplement show nearly a 10 percent increase in strength compared to those that don’t. More of a high reps person? It also boosts non-max exercise reps by almost 15 percent. If you lift weights, aim for 5 grams per day. If you don’t, just 2 grams will do the trick. Taking anything more will only mean more trips to the supplement store, not more size or strength. Creatine might help make you faster, too, at least for shorter distances. It’s not just for the meatheads. If you’re running sprints, you’ll not only see your speed increase, you’ll also be able to recover faster to keep running at a higher intensity. Just don’t expect the benefit to translate to long-distance running. Have to take a break from the gym? Creatine can help. While creatine won’t preserve your body as if you’re cryogenically frozen, it will speed up the process of how quickly you can get back in shape. Research on NCAA football players found that athletes using creatine had less cramping, heat exhaustion, and muscle strains than non-users. The biggest downside? Your sensitive stomach. While creatine is safe from any dangerous or serious health concerns, side effects include nausea and diarrhea. Want to limit potential bathroom shenanigans? Take smaller doses (less than 5 grams), drink enough water, or consume it with food, says Alan Aragon, M.S., a nutritionist, and founder of Alan Aragon’s Research Review. Some of the most interesting research is with those suffering from traumatic brain injury. Creatine also shows potential for limiting frequency of headaches, fatigue, and dizziness. It may be especially helpful to people who follow vegan and vegetarian diets. Eating all the kale in the world is very healthy, but it still doesn’t provide your brain with some necessary nutrients. Creatine helps feed your neurons the same way it feeds you muscles, and helps protect against breakdown. The buyer’s guide: Stick with monohydrate. 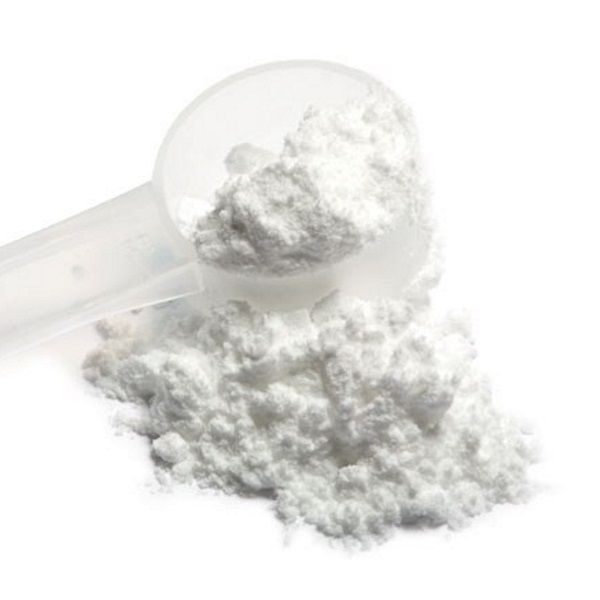 Creatine monohydrate is not only the cheapest version, it’s also the best, says Aragon. Need proof? Research shows that other forms like creatine ethyl ester are about as effective as a placebo. Convenience is not better with creatine. If you’re going to supplement with creatine, buy the powder version, not the pre-mixed liquid. Pre-mixed liquid creatine (created for manufacturing and longer shelf life) reduces the effectiveness and absorption compared to powder or capsules. And no, this does not apply to mixing at home into a solution.